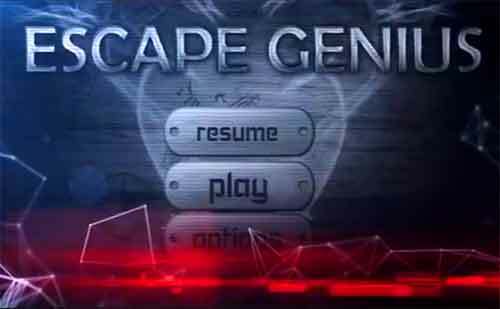 Guide for Escape Genius Walkthrough – Step in and find out if you are an escape genius or you will be locked forever from this 11 free stages to play ? IF you need help solving the puzzle logic or stuck on one of the stage, then find out the answers with video solution to help you for each level ! Hello! I have prepared 20 locked rooms for you. If you can break out each and every one of them you are officially an escape genius! The evil professor has locked you into this strange building with 20 carefully built rooms full of tricks, traps and puzzles. If you believe you have what it takes to escape all those rooms and become the escape genius then accept this room escape challenge! Would you like me to show you how it all works? Great ! Let’s check out this sofa over there. Check out if there’s anything behind this pillow. Good! You just found a wooden stick. Let’s pick it up and move on. Those plants on right look interesting. Let’s try moving it and get a hammer head! Combining items is a key to success. Try combining a wooden stick with a hammer head now. A ladder on right, let’s check it out. There’s a missing piece ! i guess you need to fix it. What are you waiting for? use the hammer to fix it! ok. Let’s climb up and find a paper for your final hint. Do you get the hint ? Put the paper away and try to solve the puzzle. Insert the right soluion and press enter. Wow! You are doing great! Take the key and let’s start the adventure. Go on! Enter the door! But from now you are on your own.. This entry was posted in escape genius and tagged Escape Genius Cheats on November 9, 2015 by 100doorssolution.